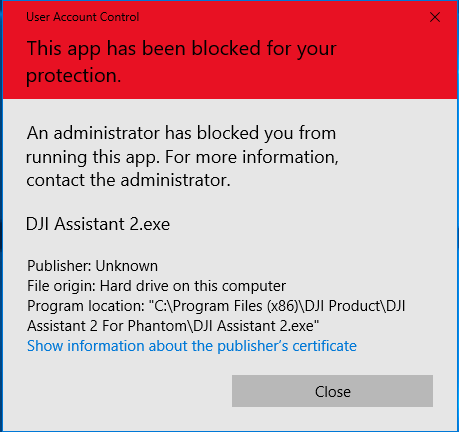 DJI Assistant 2 error: An app has been blocked for your protection. This app has been blocked for your protection. An administrator has blocked you from running this app. For more information, contact the administrator. Program location: "C:\Program Files (x86)\DJI Product\DJI Assistant 2 For Phantom\DJI Assistant 2.exe"